Salmon's X ULTRA 3 Mid GTX Men's Hiking Shoes are perfect for outdoor adventures. 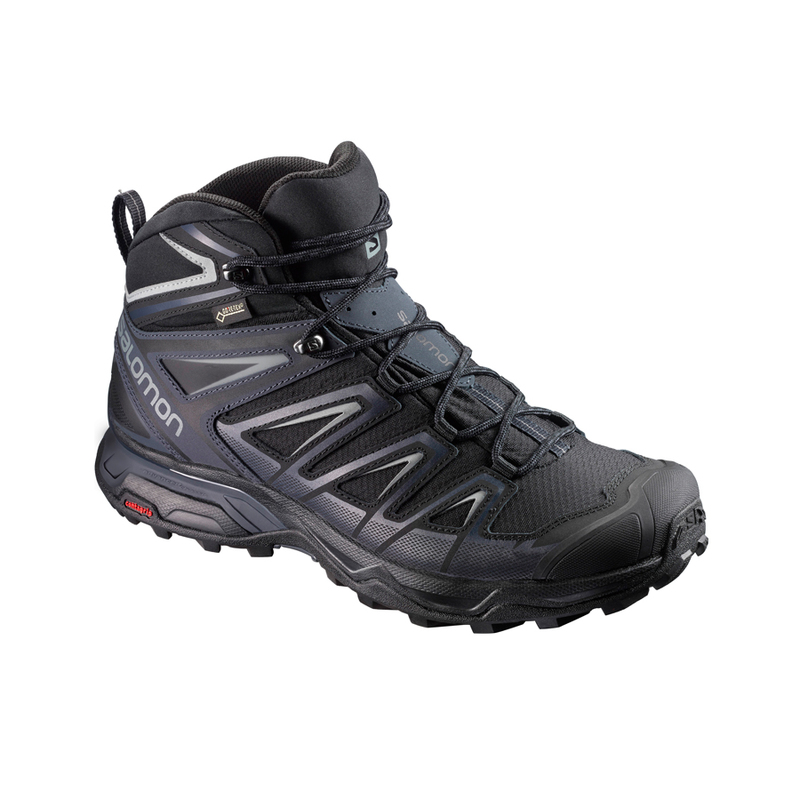 Move at a high-speed in the lightweight boots, suitable for all terrain. Feel secure, comfortable and protected with Advanced Chassis and Sensifit technology. Decent Control technology enables unrivalled grip on a variety of terrain, with special patterned grip on the heel aggressively grabbing terrain for enhanced control. The mid-cut boot increase ankle support and helps keep debris out. Gore-Tex Performance Comfort Membrane - Keeps you dry on the interior and offers an extended range of comfort. Protective rubber toe - Anti-abrasion properties that fight off debris.